I had my first step onto Cyrene reef today. 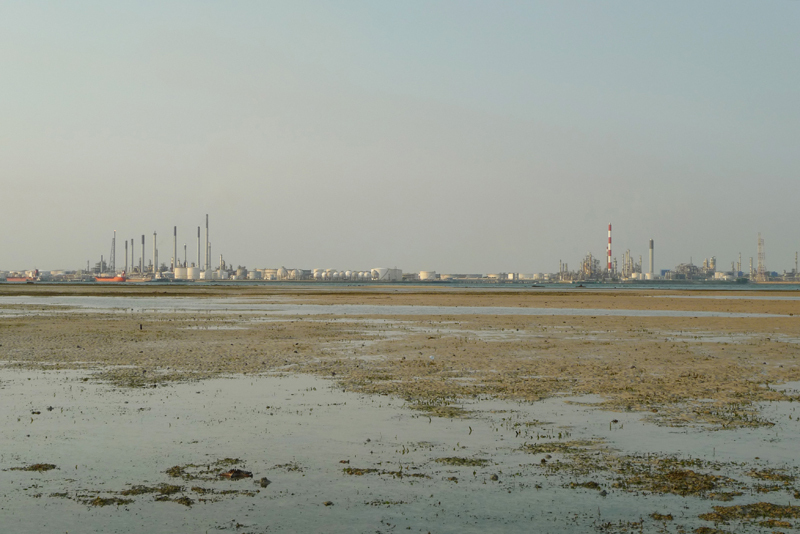 Cyrene is a submerged reef located in an industrial triangle consisting of Pasir Panjang container terminals on the mainland, petrochemical plants on Jurong Island and Pulau Bukom. 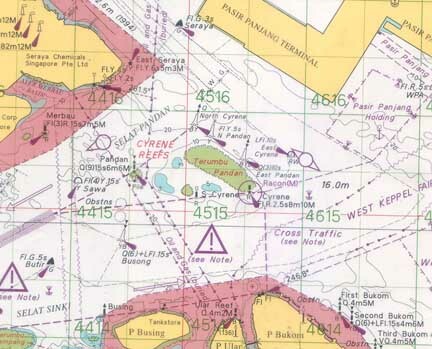 For submerged reef, there is no proper jetty or docking place for boats to stop. Luckily, we just have to transfer to a dinghy from the main boat to get to the reef. 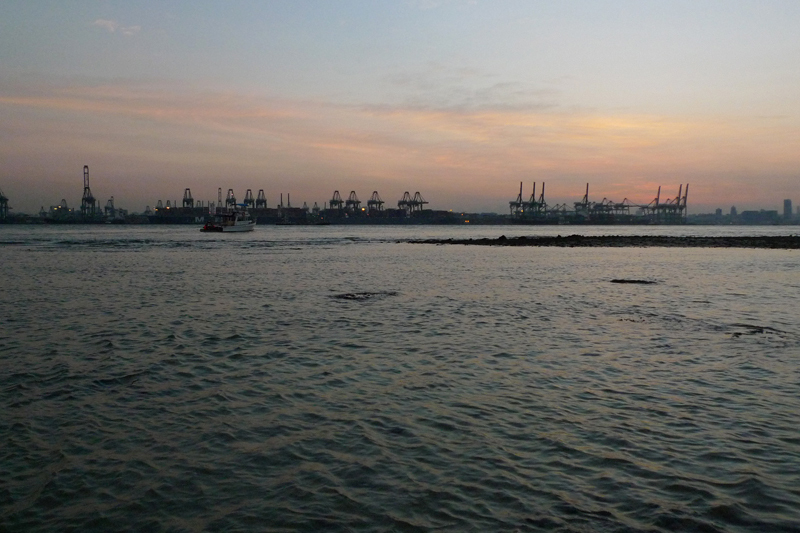 Like yesterday, I got up early for the 06:00 meeting time at Marina at Keppel Bay. I was my first time setting off from a marina. When we set off, the sky was barely lighting up. 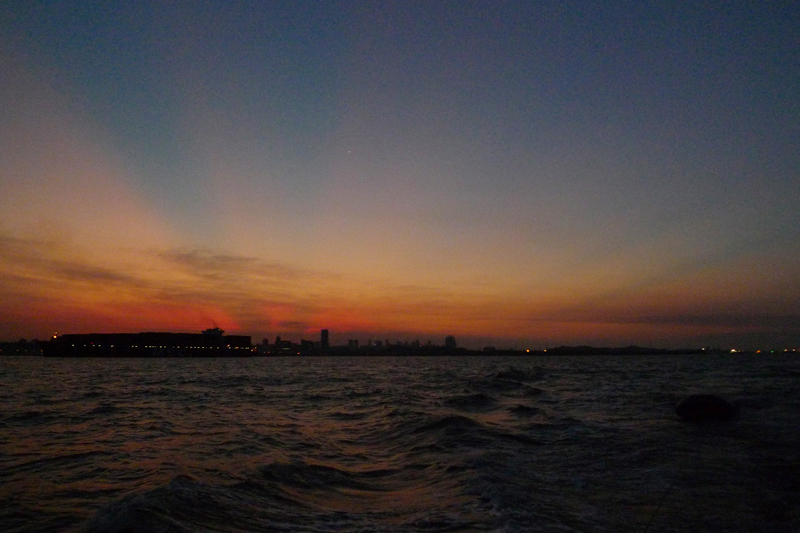 The morning sky was really nice as we set sail to our destination. There were pretty streaks of light form from the rising sun. 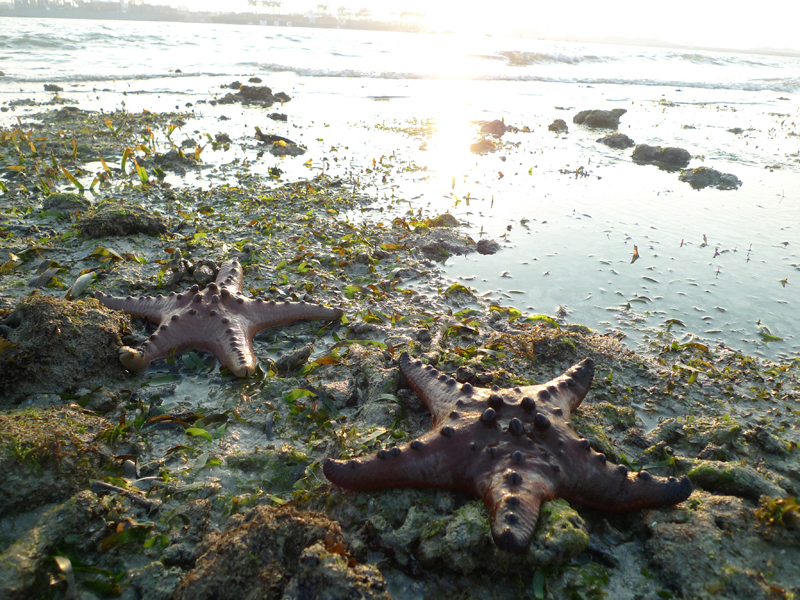 As we set foot on the reef, the sun slowly showed itself. 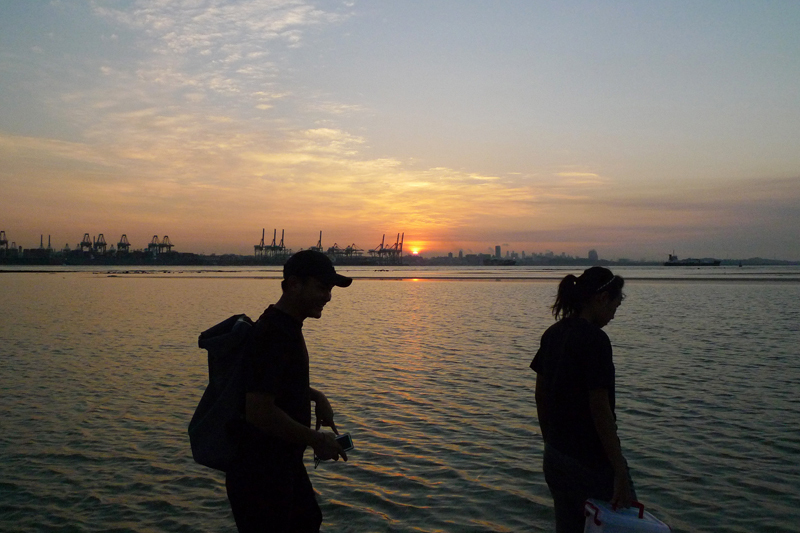 The objective of this trip was to remove the stakes from Siti's experiment. On Friday, another team had already removed and smashed the structures. 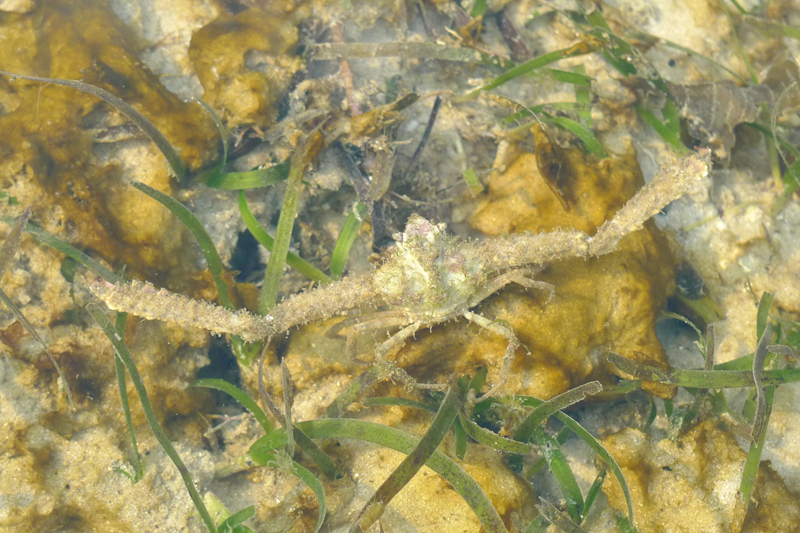 It was a quick task removing the heavily corroded stakes and we got more time to check out the reef. Yay! 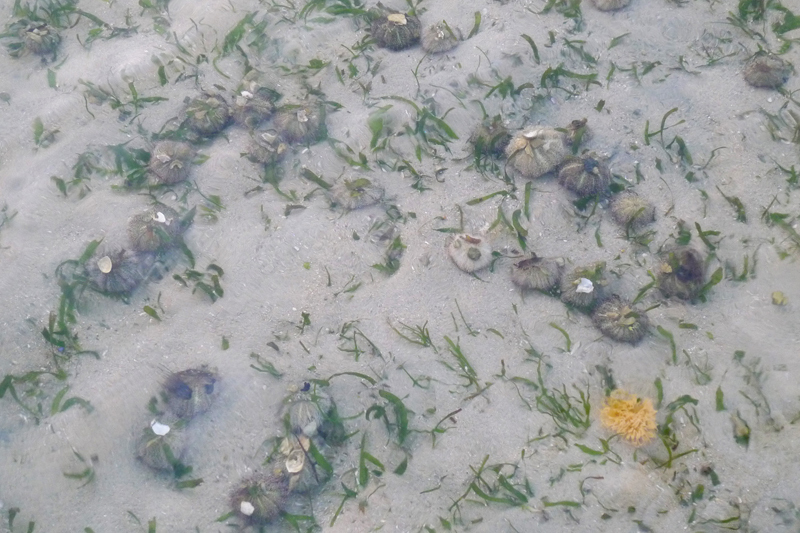 While walking to the seagrass experiment area, we came across a group of white sea urchins (Salmacis sp.). 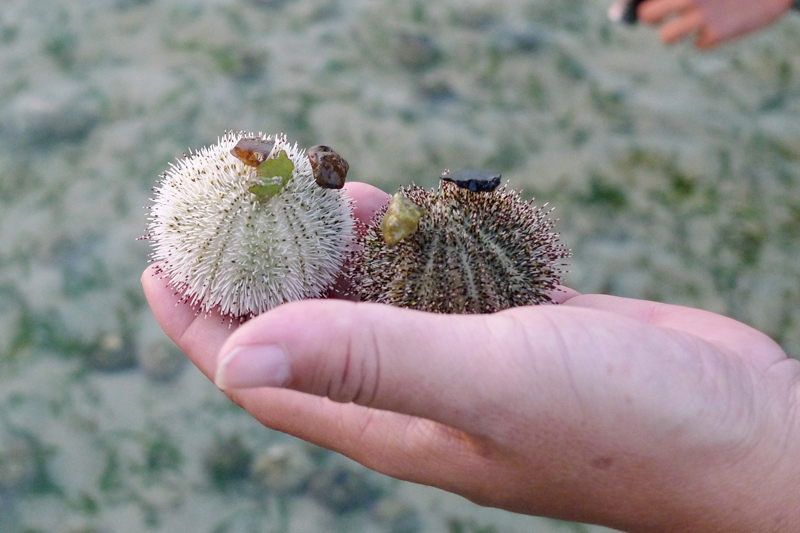 Ria was wondering if the different coloured spines represent different species of the white sea urchin. 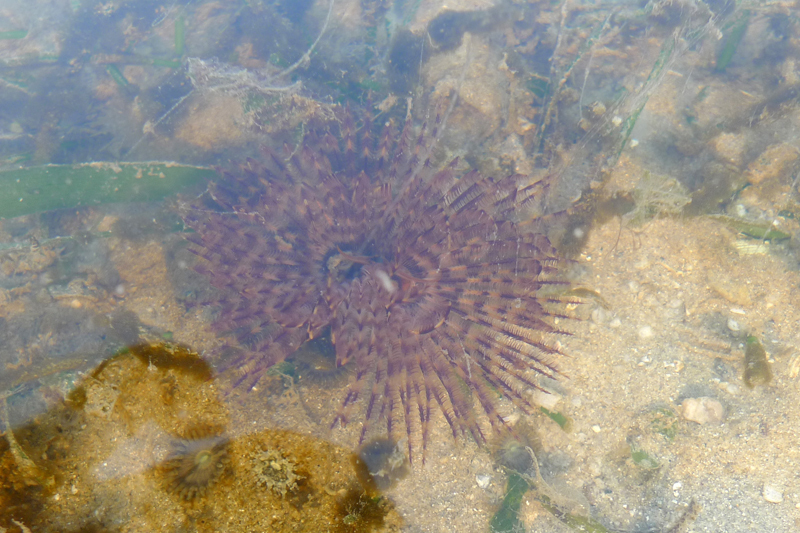 I later found a cute tiny sea urchin. 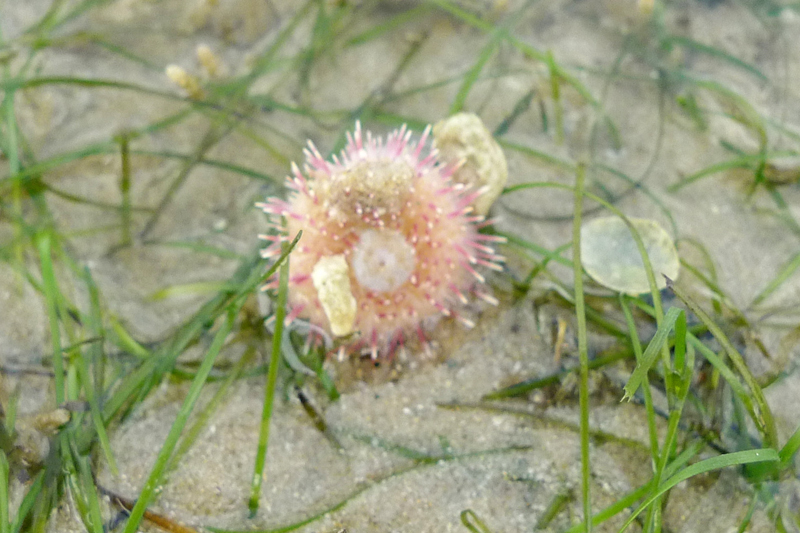 Tiny sea urchin with pink spines. 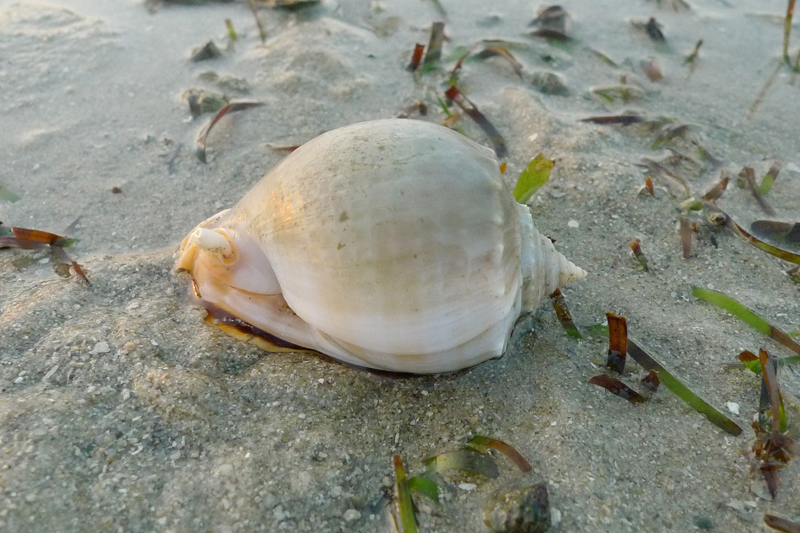 We also came across a grey bonnet snail (Phalium glaucum). Looks like someone else had arrived on this reef earlier than us. 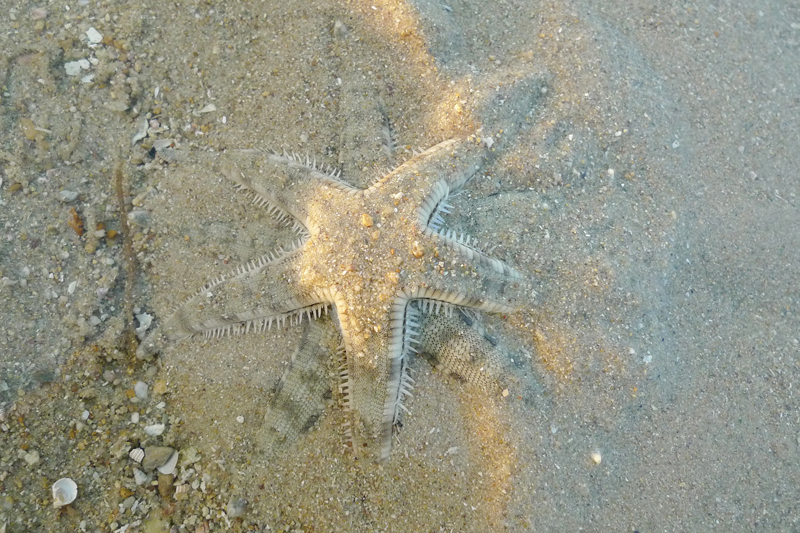 I only managed to cover a section the pasir panjang side of the reef, where the knobbly sea stars are located. 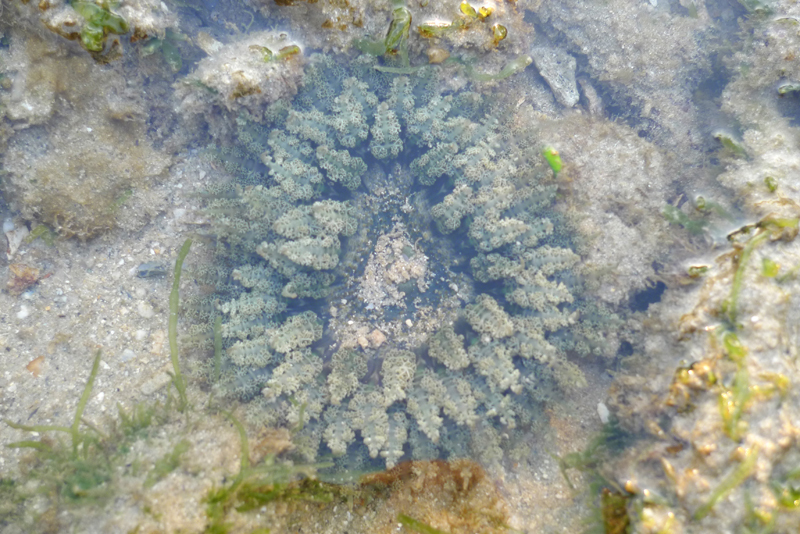 There were many plain frilly anemone (Phymanthus sp. 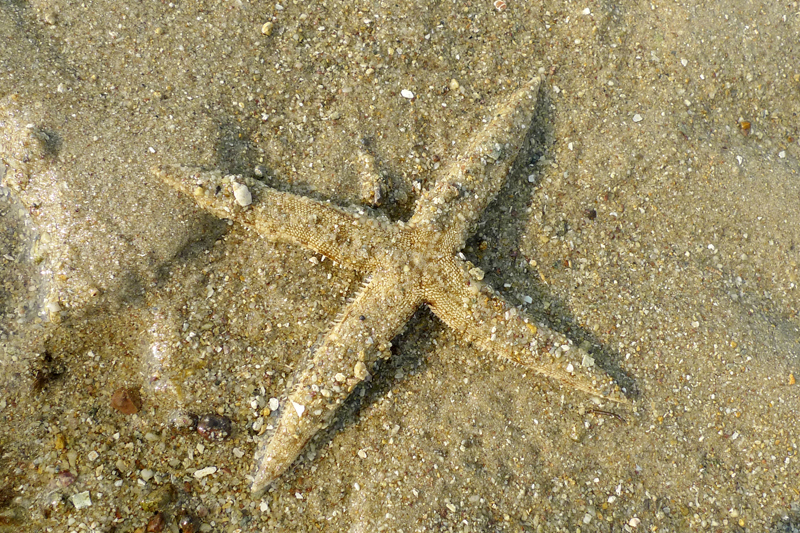 )located on the sand. 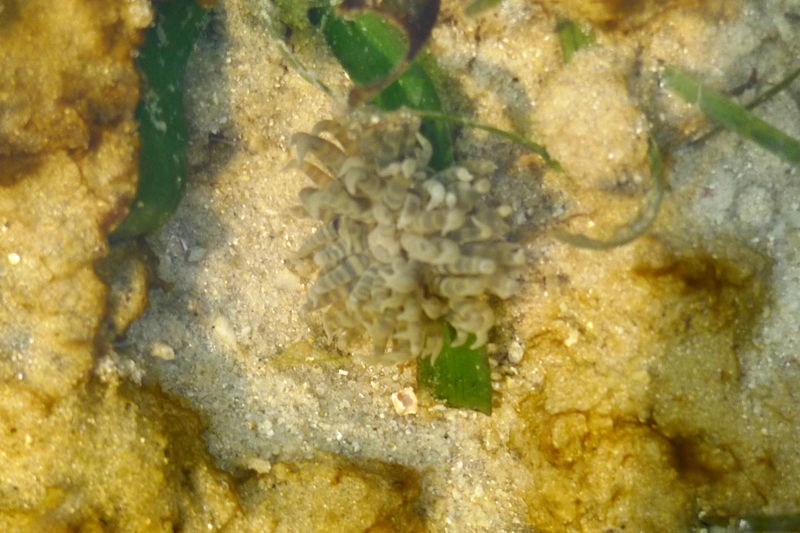 And also other kind of anemones. 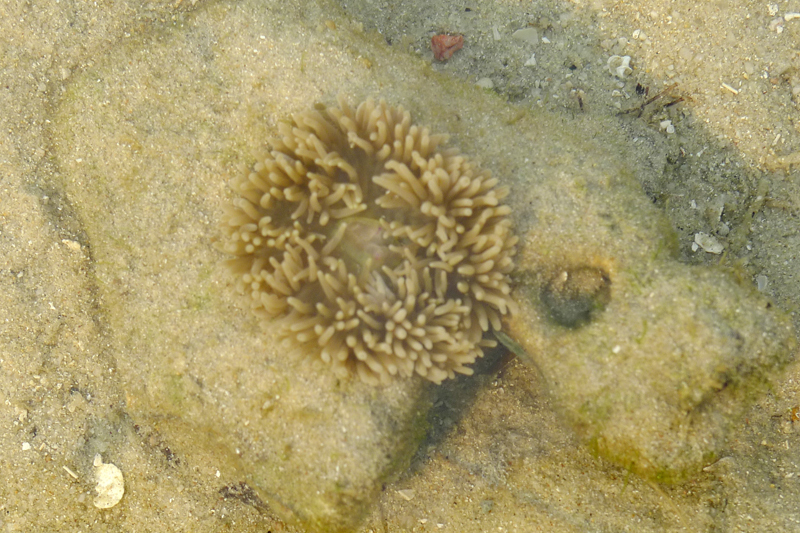 It's my first time seeing a swimming anemone (Boloceroides mcmurrichi). 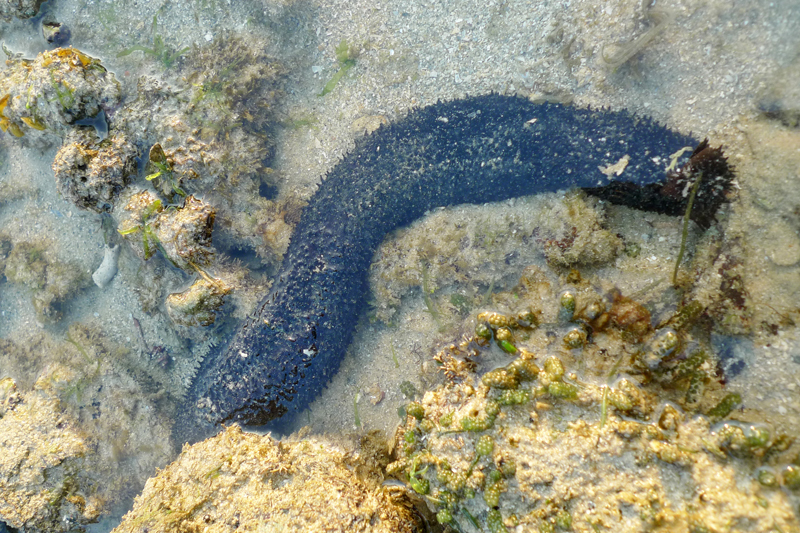 There were many of them around after I saw my first swimming anemone. 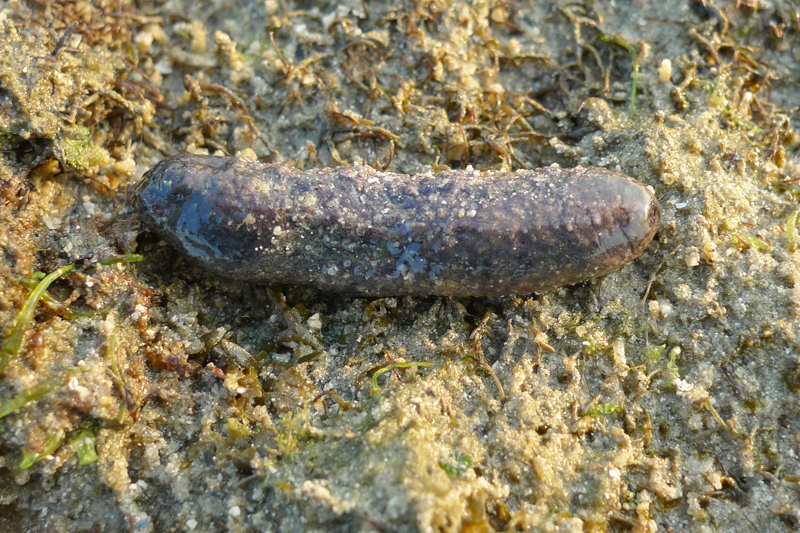 I also saw a few types of sea cucumber. 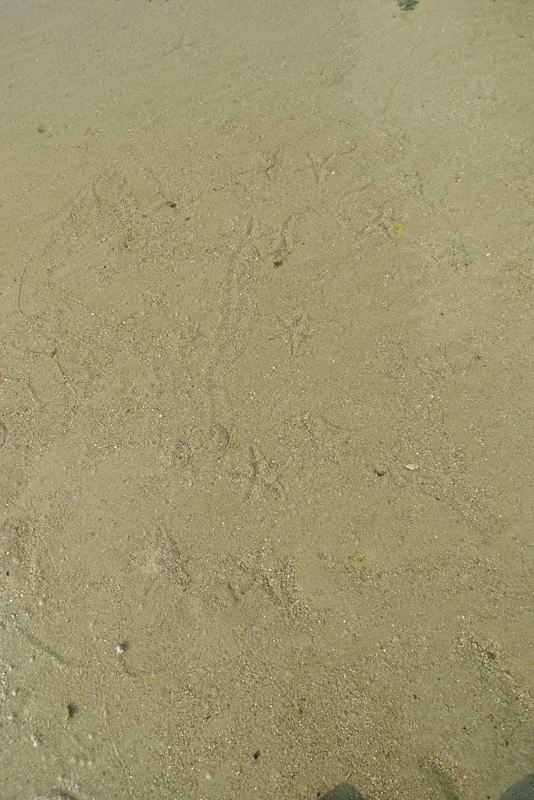 There were crabs of interesting kind, some of which it is my first time seeing it. 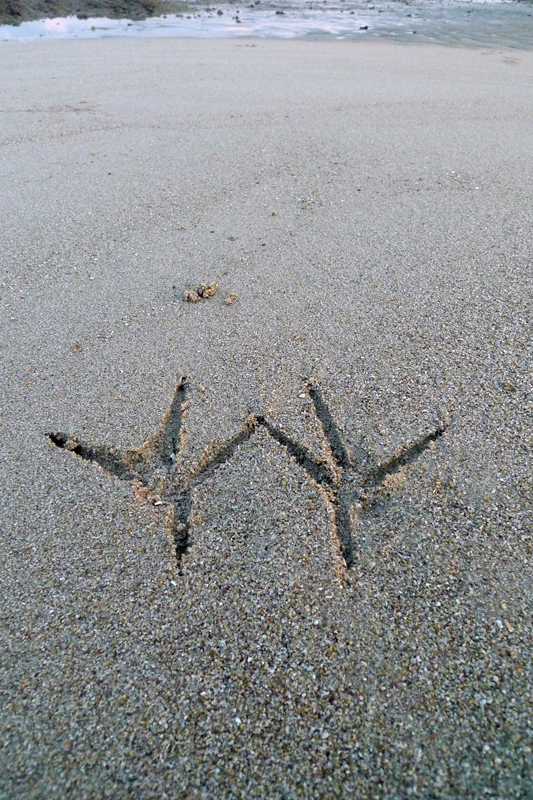 There were two puzzling crabs seen. 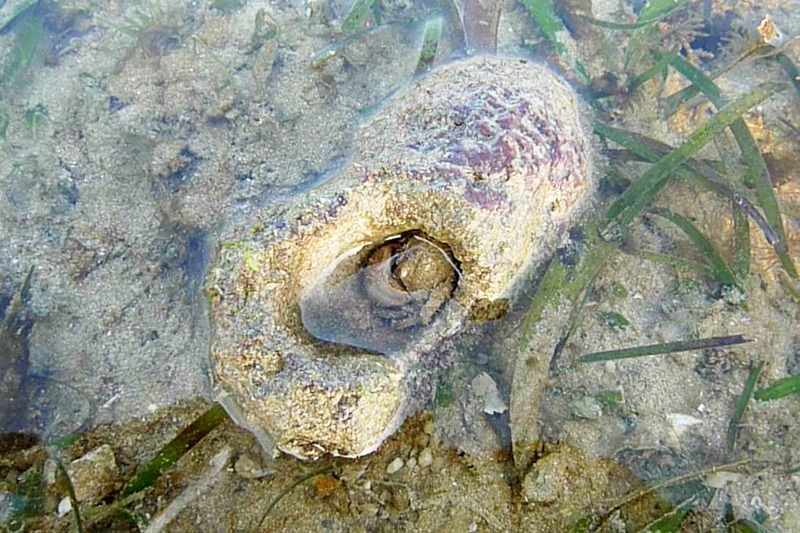 The first crab can be found in almost very coral rubble bit. 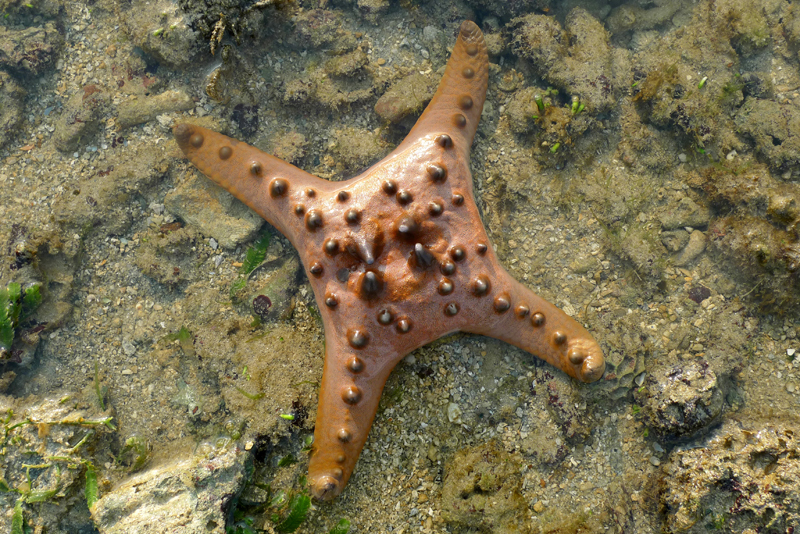 They create a hole in the dead coral and its tiny body carries it around. 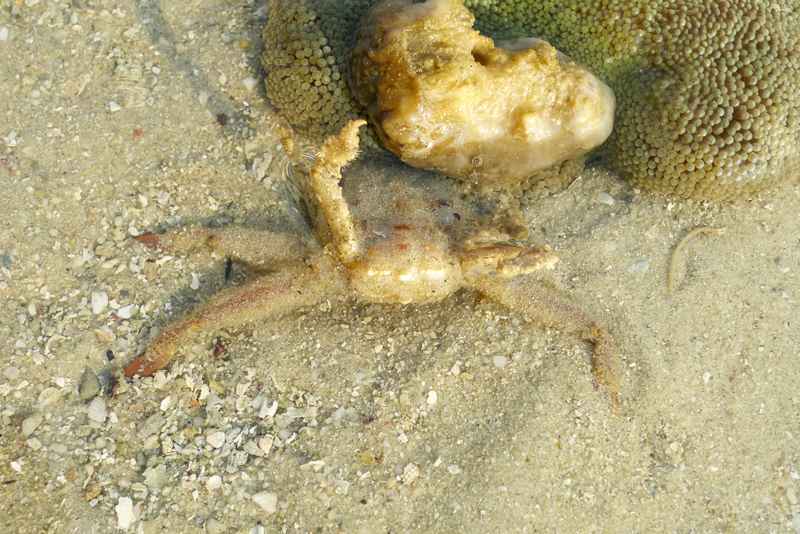 It is amazing how this small crab can mange to move such a large coral. 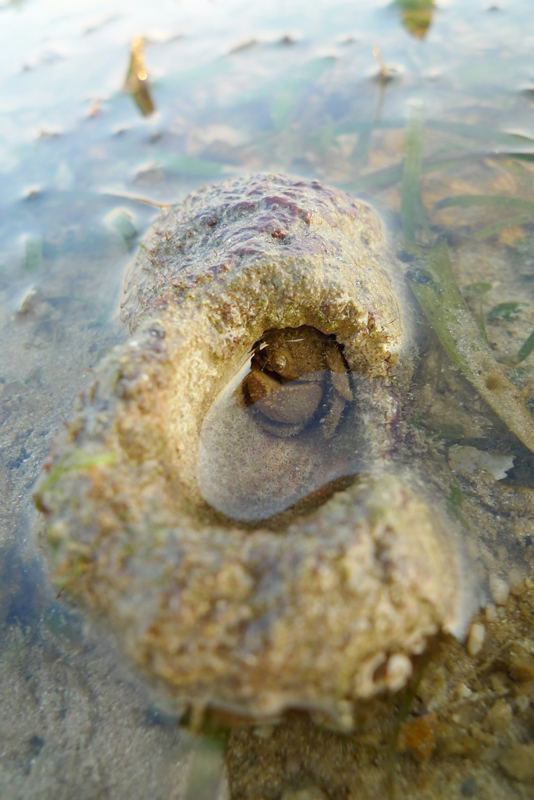 The tiny crab has a deep shelter to hide when the coral is flipped over. 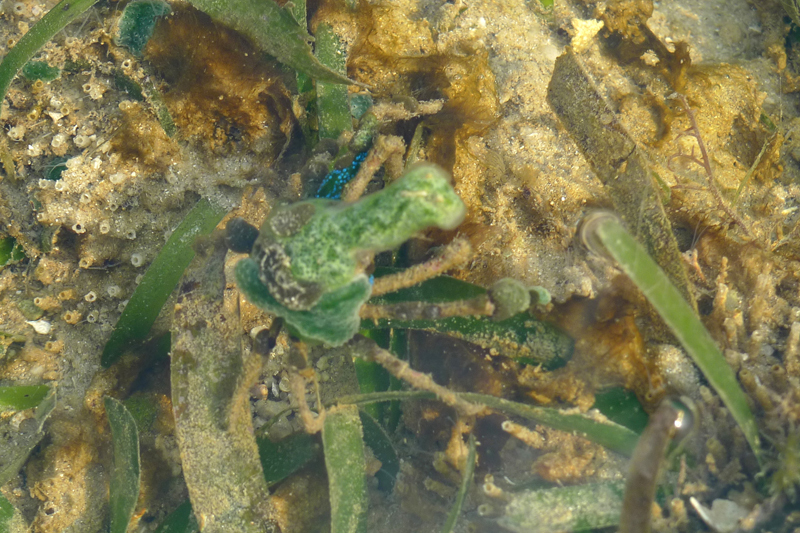 Another unknown crab is this one which I found clinging onto a sponge next to a carpet anemone. It was suspicious to find a difficult to lift piece of sponge next to the anemone. 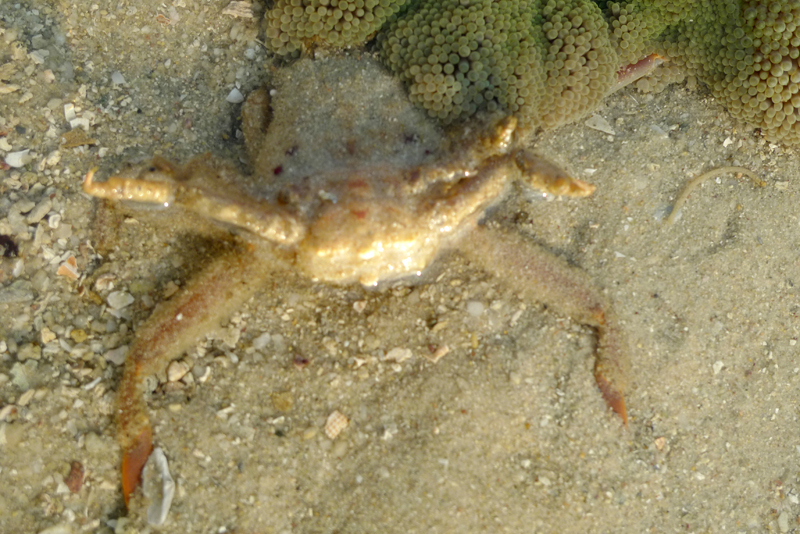 After some tugging, it reveals a crab holding onto the sponge. I have no idea what crab it is. 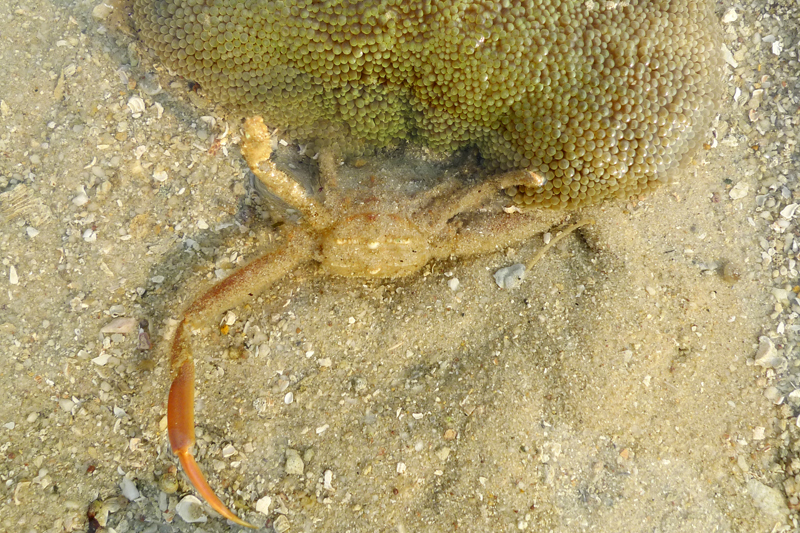 As I tried to coax the crab out of the sand, it went deeper below the carpet anemone, clinging onto something else tightly in the sand. 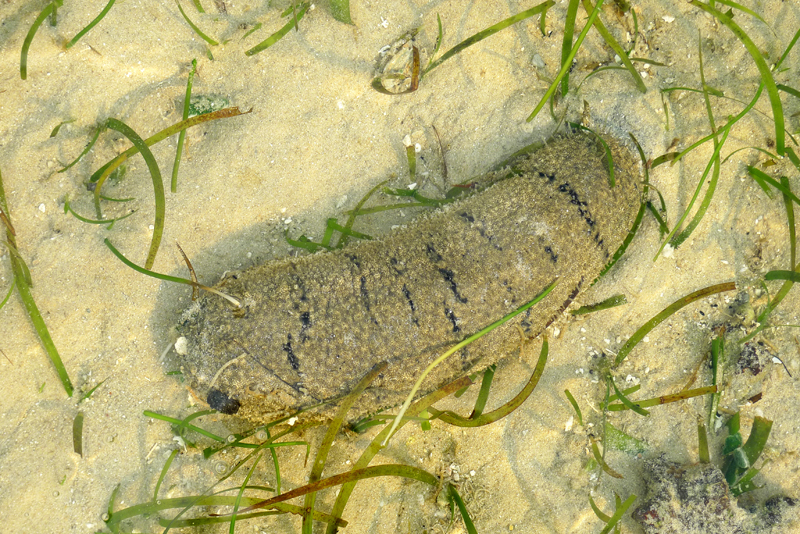 Could it be some kind of sponge crab? 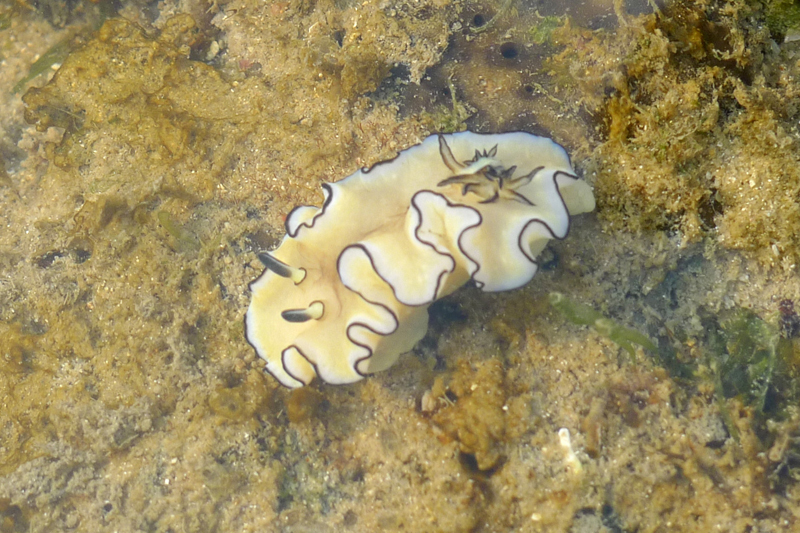 I found one black-margined nudibrach (Glossodoris atromarginata). 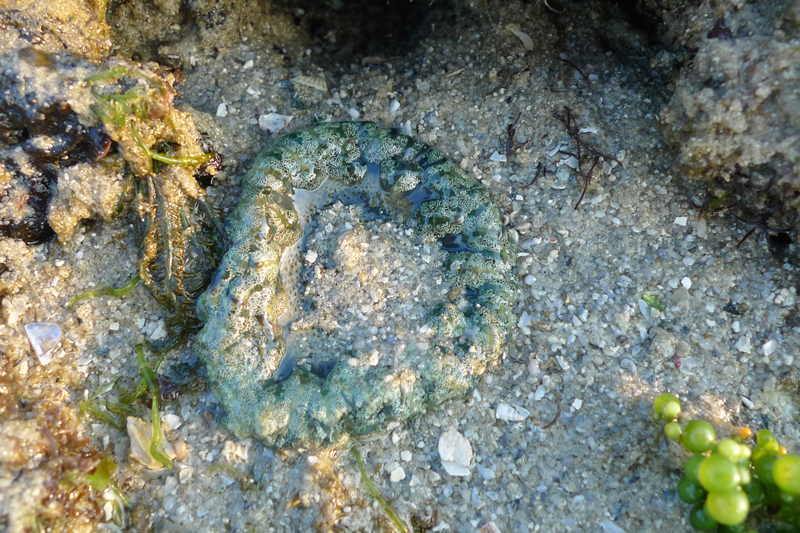 Chay Hoon found a melibe nudibranch (Melibe viridis) and they seem to be in season now. I couldn't find any though. 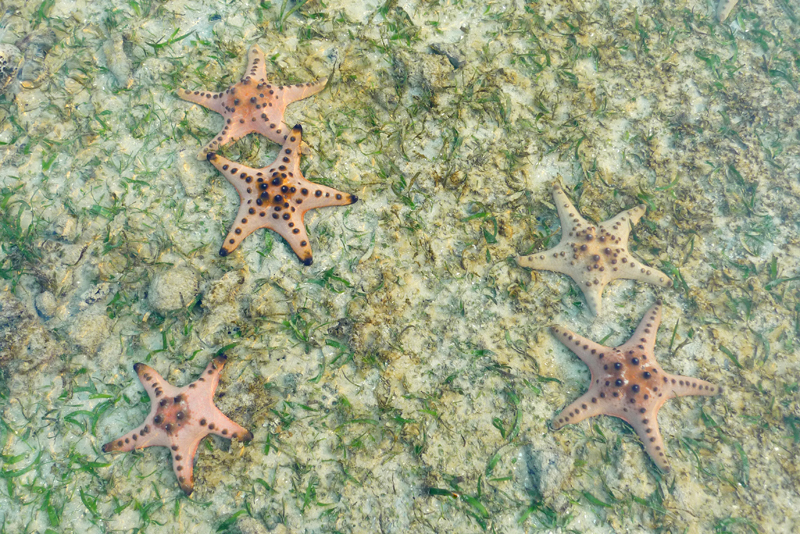 I name Cyrene reef the land of sea stars as there are many sea stars on this reef. 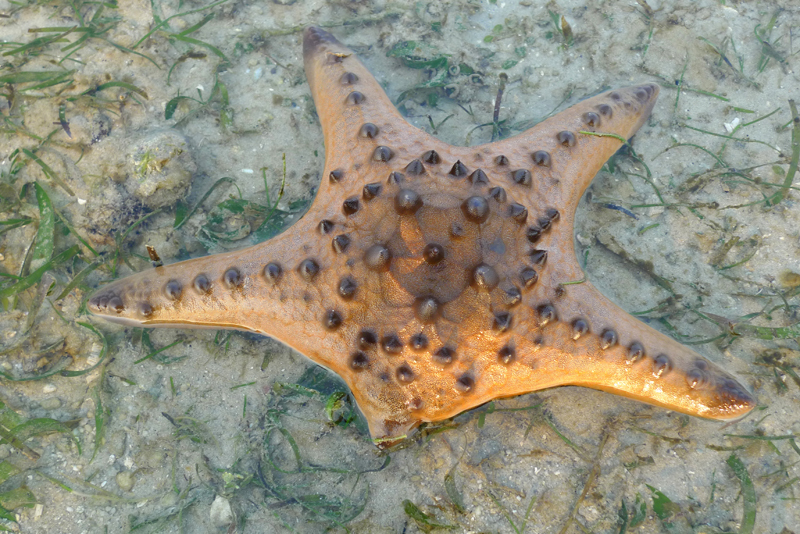 Large in numbers are the knobbly sea stars (Protoreaster nodosus) and the common sea star (Archaster typicus). 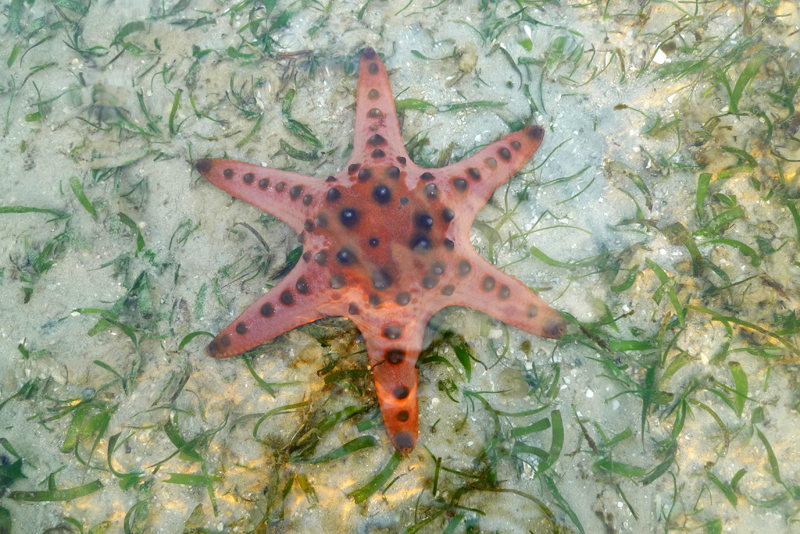 The large knobbly sea stars were seen in groups and they come in various arm numbers, size and colours. Damaged arm will regenerate on its own. 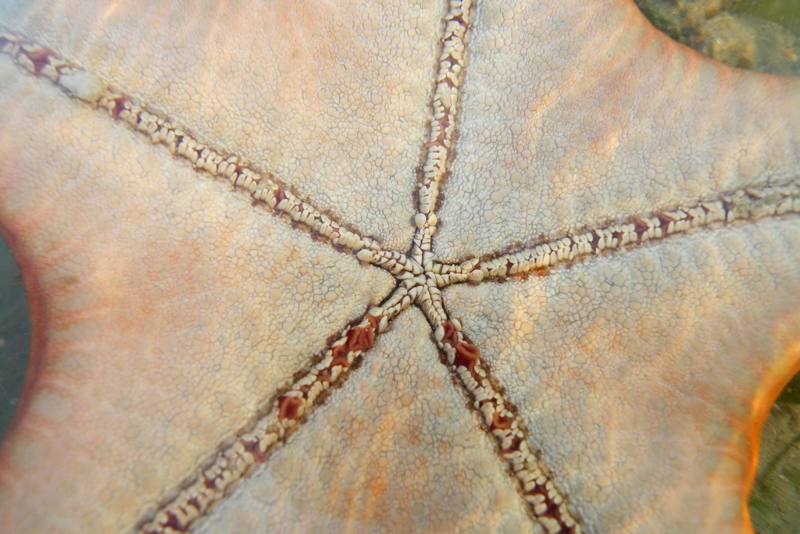 There is almost a pool of common sea star in various positions. Soon it was time to go as everyone made their way to the drop off point on the sand bar waiting for the dinghy to come and pick us batch by batch. Cyrene reef is really huge and it will take me a few visits to finish one full round. 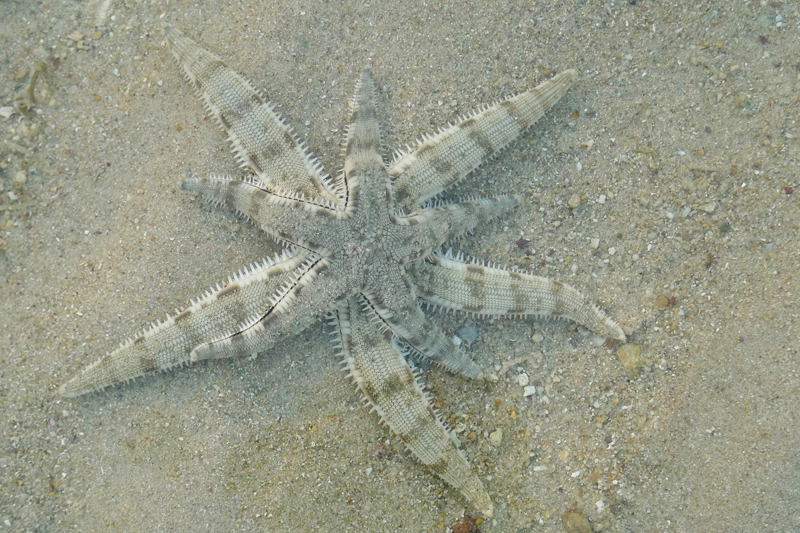 I must say that Cyrene reef is one of my favourite place to visit now. Looking forward to the predawn trip to Cyrene in July. For now, school term for semester 2 will begin tomorrow and I will start to get busy with school work. However I will still find time to visit the shores. Stay tune.